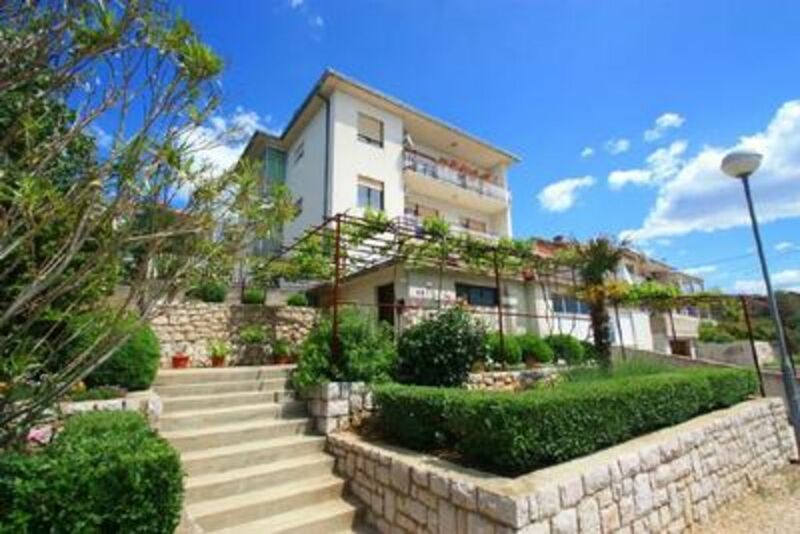 Very comfortable apartment for 4 - 6 persons, located in the town of Novi Vinodolski. This apartment has a separate living room, dining room and kitchen in one room, three bedrooms, a bathroom and a balcony with a fantastic sea view. Living area: separate living room, dining room and kitchen are in one room, with balcony, with sea views, hardwood floors, ceramic tile, satellite TV. Kitchen Description: Kitchen, dishes available, kitchen towels available, combined electric / gas stove, hotplates: 4, oven, refrigerator with freezer, coffee machine, microwave, toaster. Bathroom / WC: Bathroom with toilet, with shower. Other: Garden for use, you can bring barbecue, parking by the house, pets not allowed, heating, air conditioning, owner lives in the same house, linen provided, towels provided, Internet via W-LAN, washing machine in the apartment, washing machine at the landlord fee. Distances: fine gravel beach 400 m, pebble beach 400 m, rocky beach 400 m, concrete beach 400 m, center 800 m, restaurant 350 m, supermarket 100 m, diving center 400 m, Disco 400 m, main road is 200 m.
Air condition (per property and day, included in price 6 EUR). Heating (per property and day, included in price 6 EUR). Washing machine at the landlord for a fee (per property and day, included in price 5 EUR).